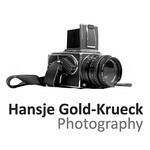 Welcome to Hansje Gold-Krueck's photography site. Feel free to browse my galleries. You will find a combination of pet and people portraits, scenic views, events, and random things that catch my eye. The photographs in the “Portfolio” galleries are only a very limited sample of my work. If you are looking for something similar to any of the pictures you see there please contact me and I will do my best to accommodate. Most photos on the site are available for purchase or download. I can also help you with custom portraits, product, or event photography. Please note that all photographs are © Hansje Gold-Krueck unless otherwise noted. Thanks for visiting and enjoy the pictures!